If you think only long and thick hair can keep your appearance prominent in the crowd then you are making a mistake. Short hairstyles can help you to look absolutely classy and stunning as well. And if you are one of the fashion conscious divas, this is high time when you should visit your hairstylist and get yourself a short yet a sleek look. This is well established that changing the hairstyle is one of the greatest ways to get overall makeover. According to the experienced hairstylists, sporting the Simple Short Hairstyles can create a fantastic look. Short hairstyles can provide you the fresh contemporary look, which never go out of style, and at the same time, can also be more manageable, and a breeze to style. The following simple hairstyles can uplift your personality in an easy way. You can try any of these according to your preference and the shape of the face. If you wish to try out some amazing hairstyles then pixie haircut would be one of the classic and fashionable styles. In recent times, it is one of the trendy and beautiful hairstyles. The Pixie Cut Hairstyle with Side Fringe has gained a massive popularity amongst girls. The blonde and brown straight pixie cut is the modern day hairstyle. Try to brush your hair in a smooth way to create this hairstyle. When it comes to choose the right kind of hairstyles on short hair, the Asymmetrical Bob Hairstyle is one of the trendiest. The front fringes of this definite hairstyle can remind you the college days. This elegant yet absolutely simple hairstyle can go well with any attire. If you enhance some of the layers in the normal bob then this cut will make you more fashionable than ever. Make a middle part on your dark blonde hair to get the perfect style. This Straight Bob with Side Bangs is not very dissimilar from the usual classic bob. If you have appropriate hair texture, then you can easily keep your hair up to neck length. You can also make the side part and brush it for working out properly. And then keep the strands on the side as it is. You can use any hair serum to get a smoothie look on this haircut. This particular hairstyle is very trendy and goes with every face shape. If your age is increasing but you want to look gorgeous and stunning like ever then you can easily try the side fringe hairstyle on your short hair strands. If you have the oval or “v” shaped face then you can easily carry this particular style properly. The Side Fringe Short Hairstyle has become popular for its stylish look which can keep your facial shape prominent. In this particular style the hair of the front and upper part will be quite long along with long fringes. But the back and the side part will be very short with having the undercut hairstyle. This side part layered short hairstyle is absolutely finest and accurate for the girls with oval or “v” shaped face. This well-liked Twiggy reminiscent haircut is an outstanding mixture of the shag cut hair style. The hair of front parts is also quite short along with the side swept bangs and longer in the back and the surrounding portion of ears. Try to brush your hair and keep the strands in the front to get this perfect and stunning hairstyle. You can try this style with any kind off outfit at any event. Do you have a short and curly hair? Then this particular Curly Short Hairstyle is the one to try out for your party look. If you desire to get this specific style, you have to first make your hair curly and then make a messy brushing as well. The light and cream brown color of your hair actually assists you to look absolutely eye-catching and ravishing as well. If you have a short hair, then this curly hairstyle will look absolutely gorgeous on you. Are you looking for the stunning and trendy hairstyle, which will look absolutely classy on you? If yes, then all you need is to choose this Bowl Cut Short Hairstyle. It is one of the amazing hairstyles, if you have short and blonde hairs. This looks like a bowl on your head and that makes you stand apart from others. This hairstyle is for all of the face shapes like round, oval and other. And you can also sport the look anywhere you want. This particular Side Part Messy Short Hairstyle looks the best on the wavy hair. You have to do a side part on your hair to create this style and it will give you a little bit of messy look, which suits the round face. Women with the oval faces also can easily go for this look. This specific hairstyle will bring you the messy look as well as blonde hair color will create a beautiful combination along with it. You can sport this look at any corporate event, or hangouts with friends as well. This Short Hairstyle for summer come along with the Swept Back Short Hair and this is one of the most well-known and trendy hairstyles that is widely followed by numerous people all over the world. You have to swept back your hair to create the hairstyle and make the front strand little uneven to get the stunning look. To create this particular hairstyle, you have to make a side part and make the end strand little wavy. They will assist you in highlighting stylish women absolutely presentable. In recent times, pixie cut is one of the trendiest hairstyles that have gained an immense popularity. And if you have a short hair, then Green Pixie Cut Hairstyle would be a great choice for you. Apart from the cut, the green color would make you stand apart from the others. It looks absolutely bold and smart on you and you can easily sport the look with any contemporary outfit at branch with friends. If you have a round or oval shaped face, then you can try out this one. 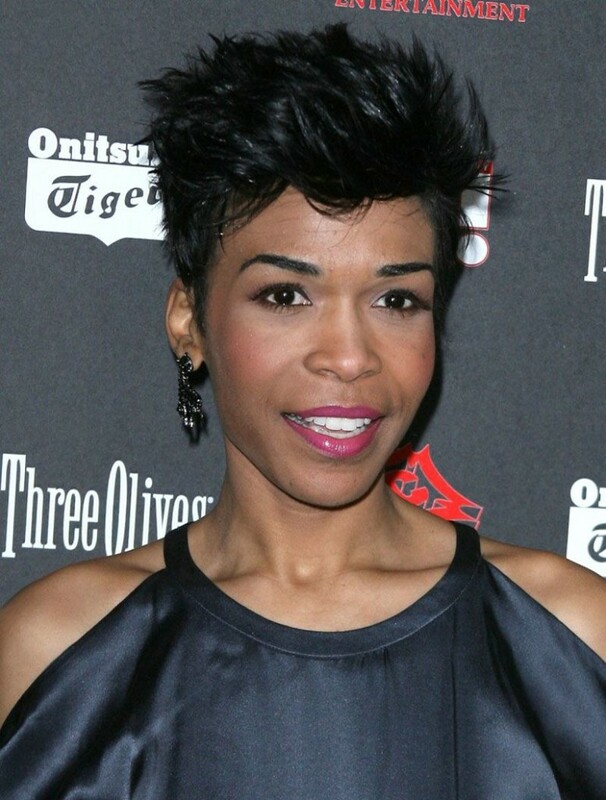 If messy hair styles attract you then Pixie Cut for African American is the perfect choice for you. The sharp edges of the hair make the style more prominent. The curly hair in the proper tousled pattern makes your look more stunning and modern. The hair up to your shoulder on the backside of your head can be managed easily. Women who are at the age of 50 can select this style to look modern and bold. The casual cut in short hairs can give you a bold look. The sharp ends of the hair in this style make your appearance more remarkable and prominent in the crowd. This Messy Short Haircut with Full Bangs is absolutely perfect for the women who have straight hair. This style makes the shape of your shape prominent. The uneven and longer hair strands on the forehead makes your look smart and bold. The hair on the top of the head is needed to cut into shorter length. This is another stylish hair cut that can hide your age and thin hair volume. In this specific style, you need to back brush the middle portion of the front hair. The highlighted white blonde hair makes your appearance more prominent. The hair length remains up to your shoulder in the back side. 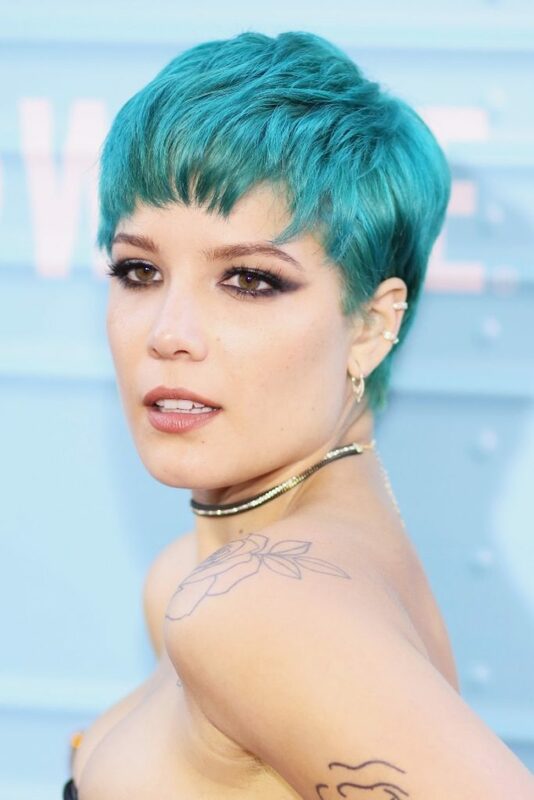 The Edgy Short Hairstyle has gained an immense popularity for being absolutely unique and stunning. In recent times, the medium length hair and short length hair is absolutely astonishing for the girls and it looks stunning on you. In recent times, the Ear Length Bob Haircut is based on the hairstyles, which are turning elegant and stylish. The hairstyle is easily manageable and it gives you the sleek and shaggy look too. The little messy look provides boldness on your personality. Make a middle parting on your hair to create the look. If you have a straight black hair, you do not have to worry about stylize your hair perfectly. This Razor Cut Short Hairstyle with Bangs is one of the trendiest and beautiful styles that can be worn by the girls. You can also cut the hair long in the front side and also the back side shorter. Girls along with the thick and straight hair can go for this. The straight bangs give this an absolutely perfect touch up to complete the look. You can also apply a side swept bangs for flaunting the look beautifully. The simple short hairstyles are suggested to the ladies who want to appear in a classy way in the gathering. These styles are not only easy to get and handle, but also modern and popular in the recent days for their beauty.